You take everything you need with you on the road and are guaranteed good company regardless of where you end up each night. One guaranteed way to see France unlike a majority of the tourists who pass through is to tour the incredible country in a campervan with those you like most. It's one of the most economical ways to see Europe and the only schedule you have to stick to is your own. Here's a sample itinerary for a weeklong trip through the country where you can see history, art, culture and more in France! Start your adventure in the northeast corner of France. Pick up your campervan, pack up your goodies and take off for a week-long tour of France. Alsace and Lorraine are two regions that are similar, charming and likely to take your breath away. If you like art, architecture, history and old world charm, then you will find your place easily in Alsace. For nature lovers, there are plenty of outdoor activities to participate in like hiking, biking and skiing in the forests surrounding this area. Lorraine is the land of forests and prairies where two incredible cities are nestled. Nancy is one of the most attractive city centres in France and the Art Nouveau architecture has always been a major draw for tourists. The other major city is Metz, which is known for its German-inspired architecture and incredible stained glass in Metz's gorgeous cathedral. Take off on the second evening to work your way south towards…. This part of France is one of the most prosperous regions in France and is famous for its Alpine skiing areas. With its three main cities (Lyon, Grenoble and St. Etienne), Rhone-Alpes is one of the largest regions in France. If you want to continue on the historical lesson we started in Alsace and Lorraine, head to "Drome Provencal" that stretches from the plains of the Bresse to the lower reaches of the Rhone in the south. If you prefer to explore the cities, choose Lyon to surround yourself with culture and atmosphere. There are stylish shops, incredible restaurants and a stunning countryside to explore outside the city limits. You won't soon forget your stay in the Rhone-Alpes region of France. You'll want to have your camera handy as your drive through Provence and the Cote d'Azur. There are endless opportunities to capture unique and beautiful landscapes as they fly by your window and you'll be tempted—more than once—to pull off on the side of the road to experience the breathtaking views. This region of France boasts fields of lavender, olive groves, rolling hills, lush pine forests, orderly vineyards, soaring mountains and incredibly blue waves. In addition to this laundry list of scenic riches, the region is bathed in sunshine for almost the entire year making travelling in Provence an absolute delight regardless of what time of year you visit. Take your time exploring the area and visiting the small French towns peppered around Provence. Spend a lazy day at the beach and really take the time to unwind and enjoy the weather and scenery of this area. Once you are satisfied with your time spent here, pack up and start the trip back north by heading to the Loire Valley. From abundant sunshine to abundant wealth, on your sixth day driving through France, wind your way back up toward Paris. The last day before you fly out from Charles de Gaulle airport however, should be spent in the Loire Valley where opulence and lavish lifestyles have always been the norm. Tour chateaus, grand country manors and impressive castles amidst a pleasant landscape that is easy to navigate on foot or by bike. It's no surprise UNESCO lists the region as a World Heritage Site. When you get a glimpse at the amazing aristocratic strongholds nestled here, you'll quickly understand how it received that honour. Head into the city in the morning, return your campervan and use the time you have left to absorb everything you can. You can see Paris in a day and with a little bit of planning you can knock off a lot of the huge monuments in one go. If you can get in to the Louvre, take a jaunt through its hallowed halls and look at the thousands upon thousands of pieces of art that hang in their galleries. Then take a stroll around the base of the Eiffel Tower and enjoy the casual, romantic and friendly atmosphere that permeates the city. If you have time or the inclination for a bit of shopping, take off for the Champs d'Elysees where high-end stores tout their goodies in perfectly composed windows. At the top of the Champs d'Elysees is the infamous l'Arc de Triomphe. Head underground to access this circular establishment in the centre of a massive roundabout and take in the sights of Paris all around you. Once you are done looking around, or when you run out of time, catch a cab and head to the airport for your return flight home. 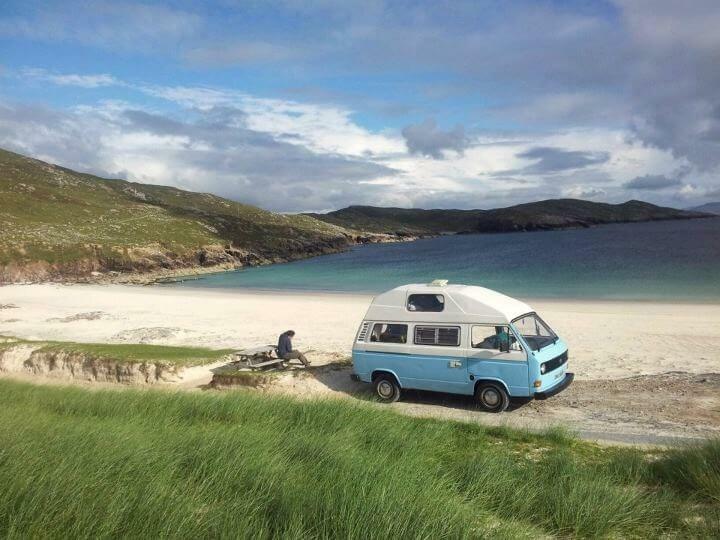 Nothing says freedom and comfort like travelling in a campervan. If you want to travel through France in style, check out travel insurance before you leave to protect your holiday and your health. Cover-More Travel Insurance has an international travel insurance plan that may match your needs perfectly. Check it out and get a quote online today! Image courtesy of Flickr user Kelvyn Skee.